Track One, Channel Strip from SPL. 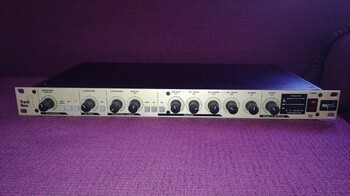 Product replaced by the SPL Track One MKII. cyril06's review (This content has been automatically translated from French)" SPL Track One MkII"
SPL Track One MKII is the little brother of the legendary Channel One with my Audio Technica mic (and after the SPL Track One Gold) having an input as its predecessor but replaces lamps with transistors. Fortunately, nothing has changed technical side, the Track One always has a very effective equalization and compression famous SPL which always works wonders. The configuration is one little simpler and grip is immediate (2 switchabls input on the rear panel XLR microphone or line-in jack for isntruments, output, De-Esser, EQ, Comp). 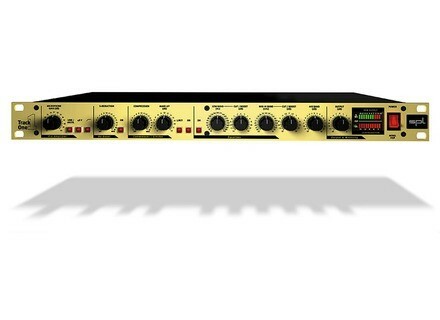 Having heard the result of a Channel-One I honestly think it must have both connected simultaneously to really hear a noticeable difference except a slight difference on the heat; And yet very practical EQ settings most often used to get very close to the desired texture. I use my live instruments and the result is everything is quite faithful to the natural sound of the instrument (PRS Singlecut Tobias Classic & 4). I made my microphone with Audio-Technica AT3525 very versatile and the result is the height of the capture, without noise or texture transformation of the recorded sound. Since its purchase in 2008 I use it with a small table and a Mackie Onyx card m-audio delta1010 and the difference with my old entry-level preamp (Presonus about 350 €) is radical! As the transistor Track-One is suddenly smaller than the Channel-One and not heating it can easily be installed in your home studio in your mixer for example (impossible with a gear lamp) which is very handy when you lack a little space on the worktop. Short match without safe brand values ​​as Goldmike and Channel-One (which are twice the price) the Track-One does its job quite adequately without being ashamed of his large. It is perfect for a medium-range system. Note also that ADAM and other brands which hitherto remained inaccessible to home-studio because of their unreasonable for non-professional prices, begin to make medium range products available while maintaining audio quality their big brothers.